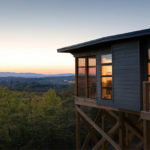 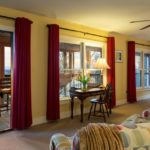 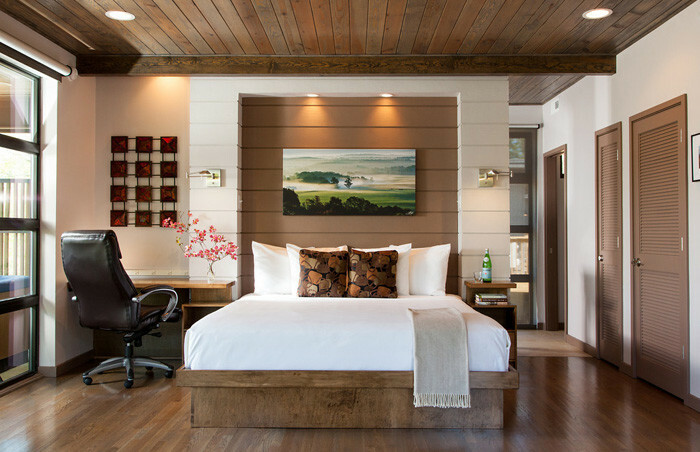 On the side of a mountain flanking the Shenandoah Valley in the Blue Ridge Mountains sits an extraordinary boutique inn. 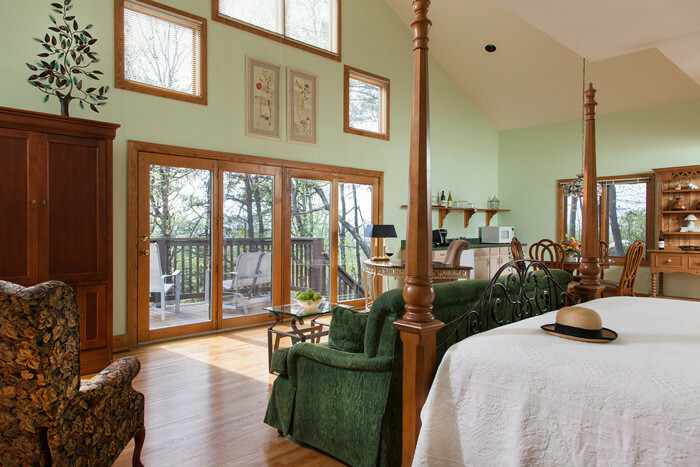 With a total of 16 guest units and expansion potential, this property has it all! 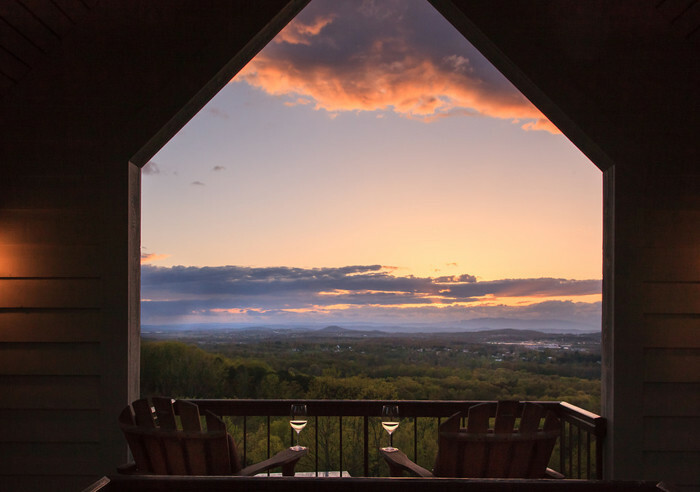 On the side of a mountain flanking the Shenandoah Valley sits an extraordinary Blue Ridge Virginia boutique inn for sale. 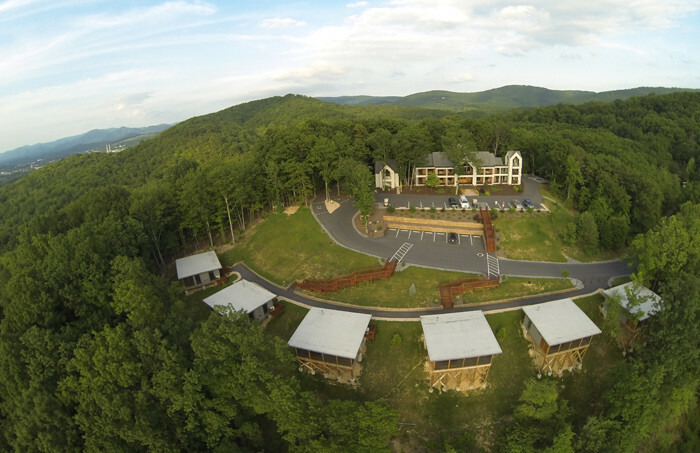 With a total of 16 guest units and expansion potential, this Select Registry® property has it all! 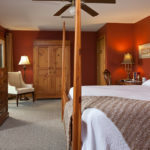 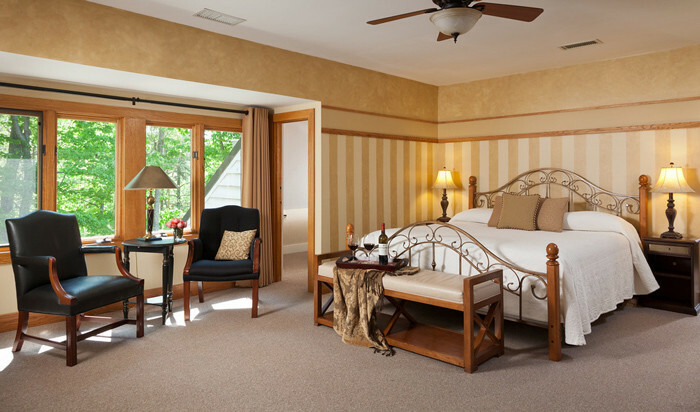 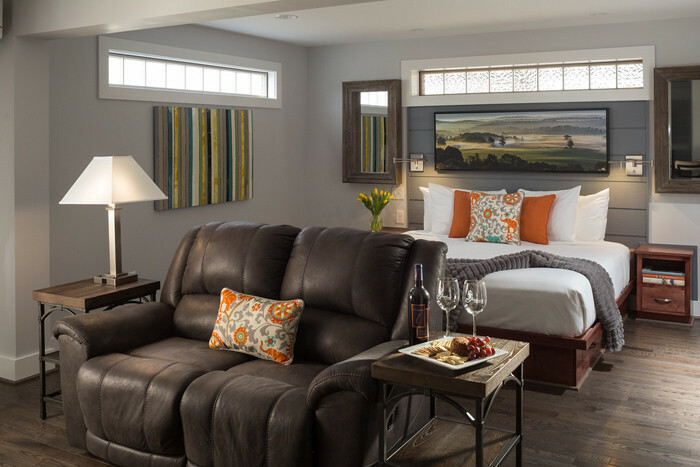 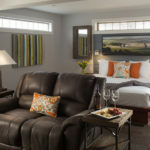 In the main purpose-built inn there are 6 upscale guest rooms. 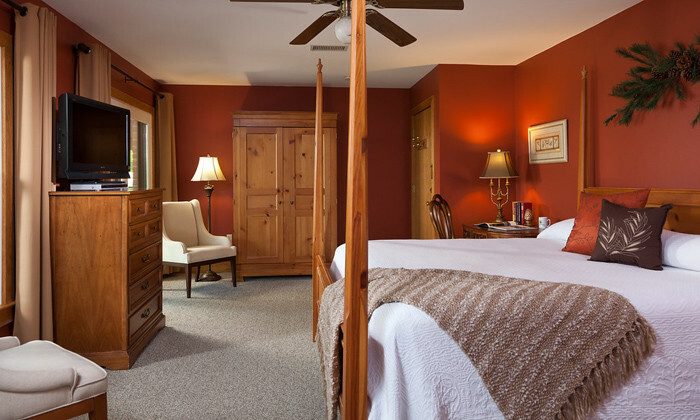 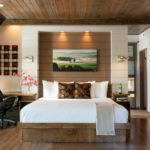 There are four “cottage suites” in two adjacent buildings, all complimented by 6 luxury cabins. 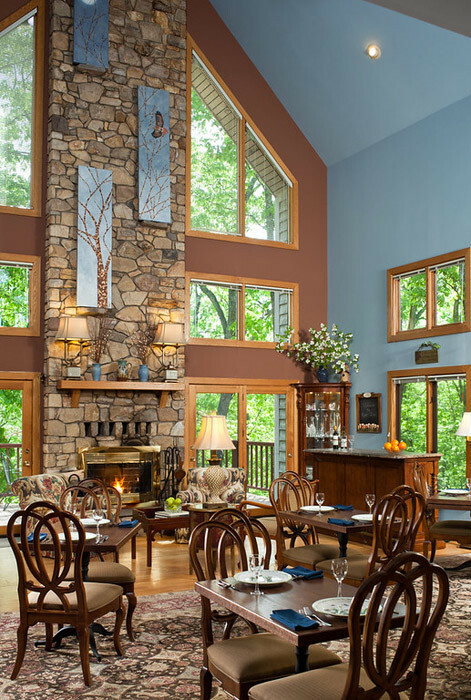 It’s not possible to overstate how fantastic this inn is. 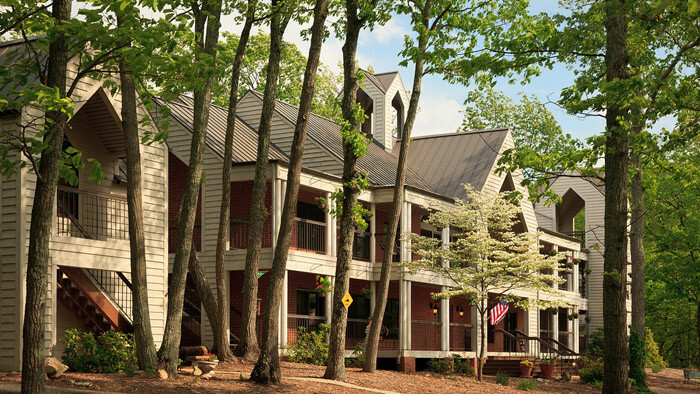 Let’s start with the main building of this Blue Ridge Virginia boutique inn for sale. 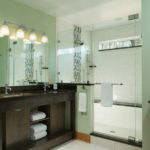 The six large guest rooms on two floors have all undergone remodeling and redecorating, including fabulous bathrooms with granite countertops and luxury tiled showers. 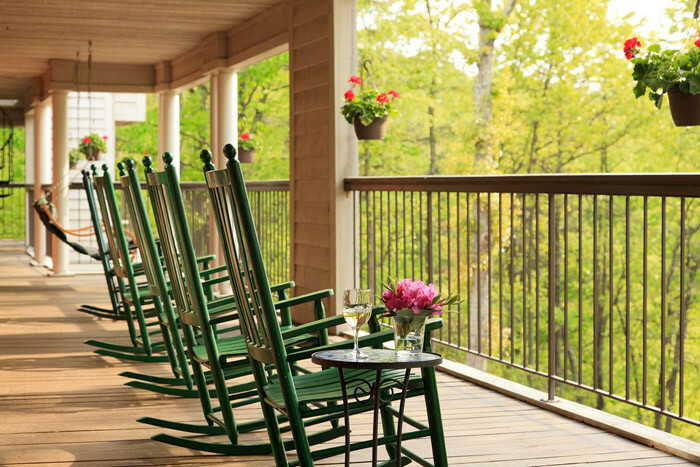 Every room has access to the deep porches, complete with rocking chairs, that span the width of the building. 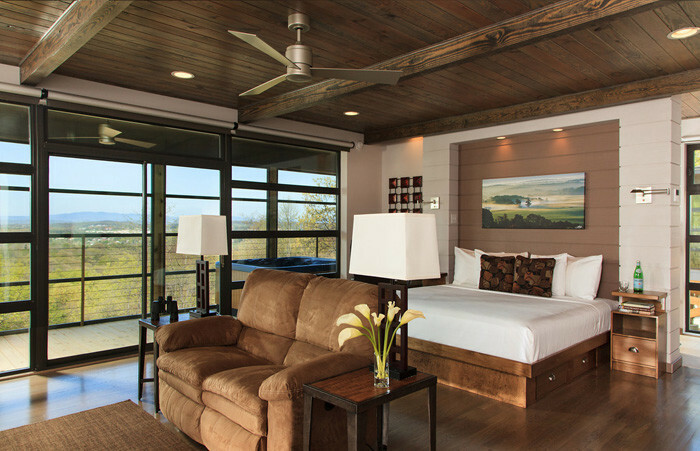 The views of the Shenandoah Valley are breathtaking! 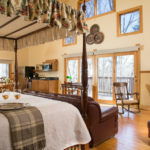 The second floor rooms can enjoy the library overlooking the enormous common/dining room with two story vaulted ceiling, stone chimney for the fireplace, and the wine bar. 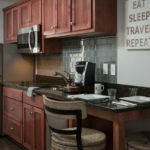 The kitchen is fully commercial with updated equipment and efficient layout. 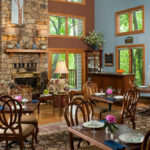 Licensed as a restaurant, this inn offers meals to groups but is not a restaurant open to the public. 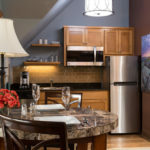 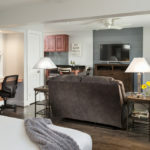 Comfortable owner’s/manager’s quarters are convenient to the kitchen and dining areas (and one laundry) and include a spacious bedroom with walk-in closet, bathroom, and sitting room. 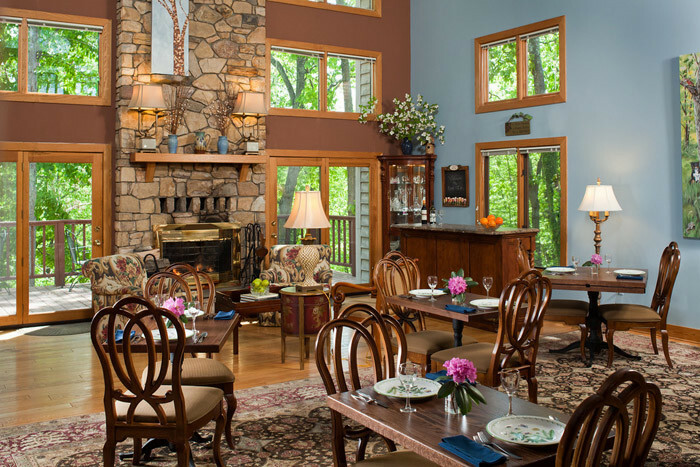 All guests at the inn enjoy breakfast in the dining rooms or on the back, tree-shaded deck. 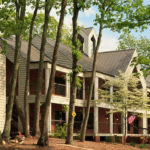 At either end of the main inn are two “cottage” buildings. 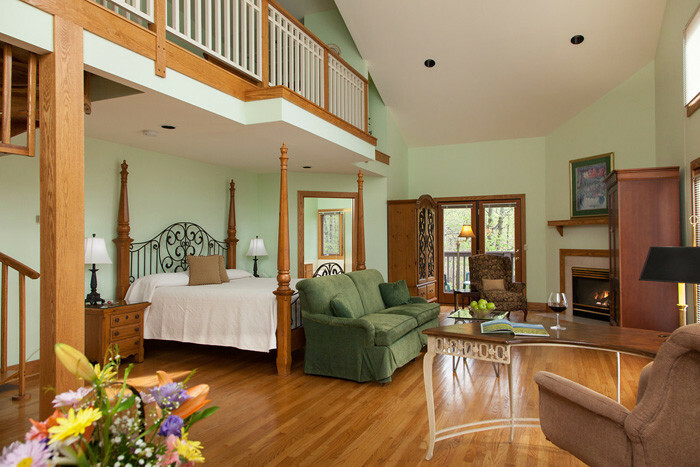 One is two stories, with a guest room on each level. 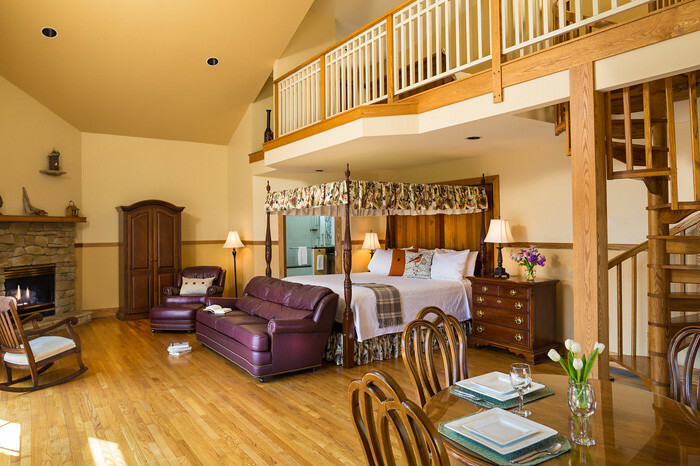 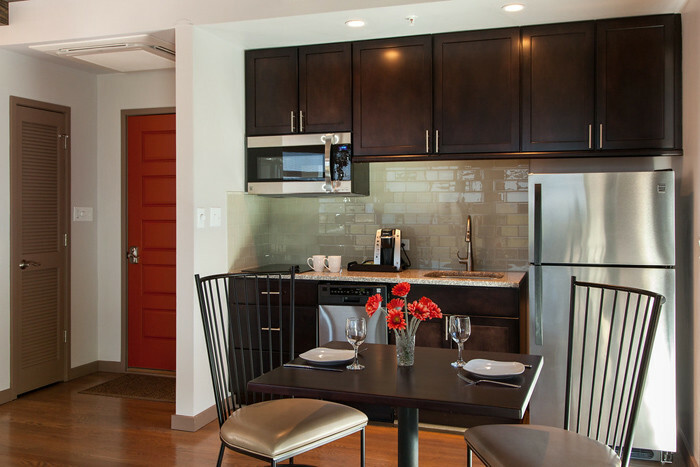 The upper room has a kitchen, full bath, and its own private rear deck with hot tub. 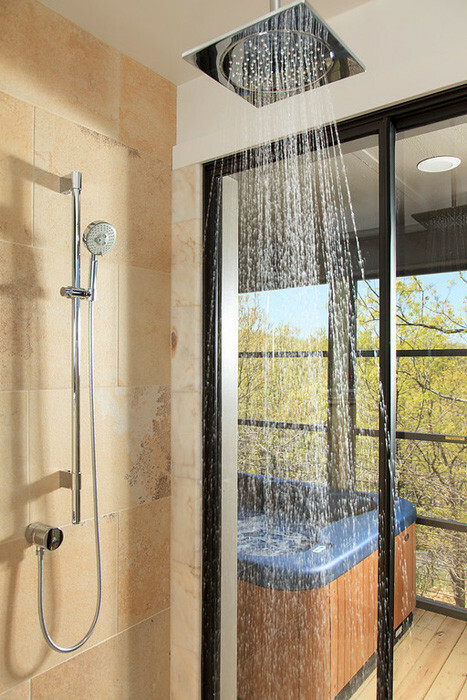 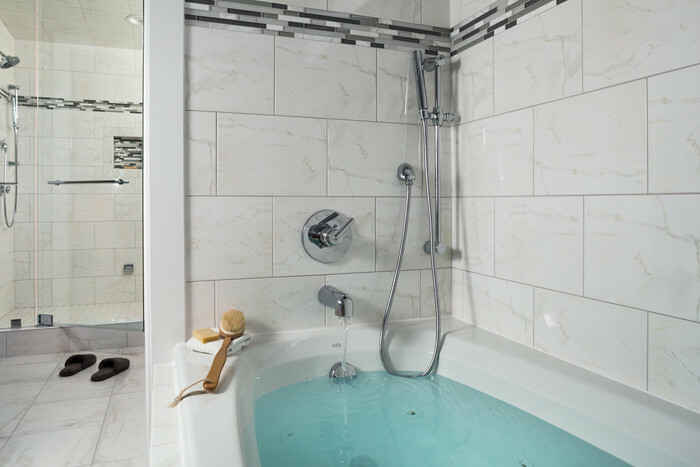 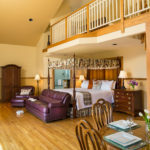 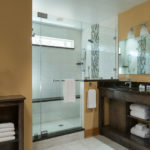 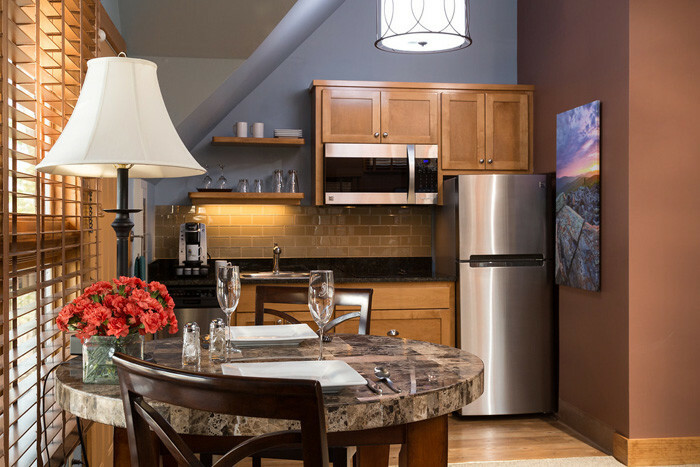 The lower level room is the “newest” at the inn, sporting an oversized steam shower and whirlpool tub plus convenient kitchen. 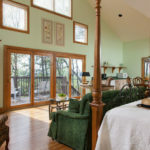 The other cottage building has two side-by side rooms, which are huge! 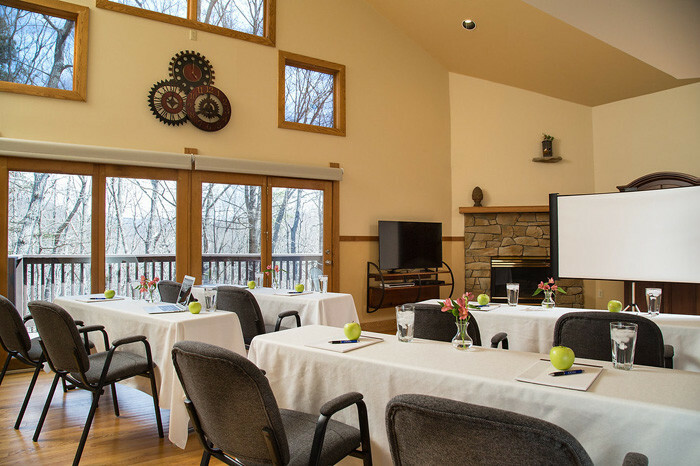 A laundry is located between them, and one side can easily be converted to an executive meeting room. 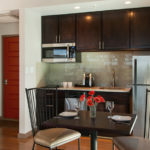 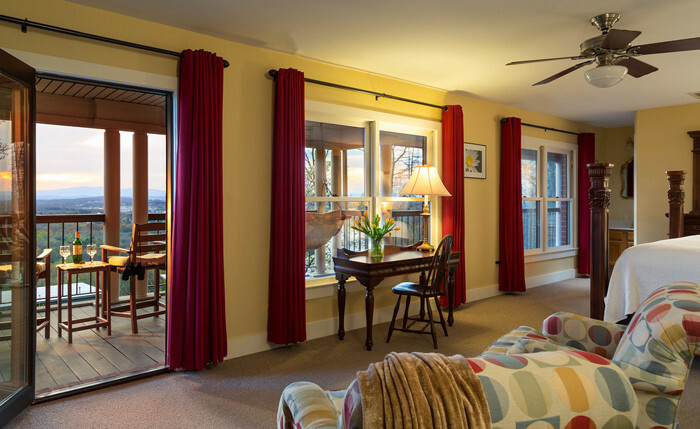 Both rooms enjoy large private decks and are suitable pet-friendly rooms. 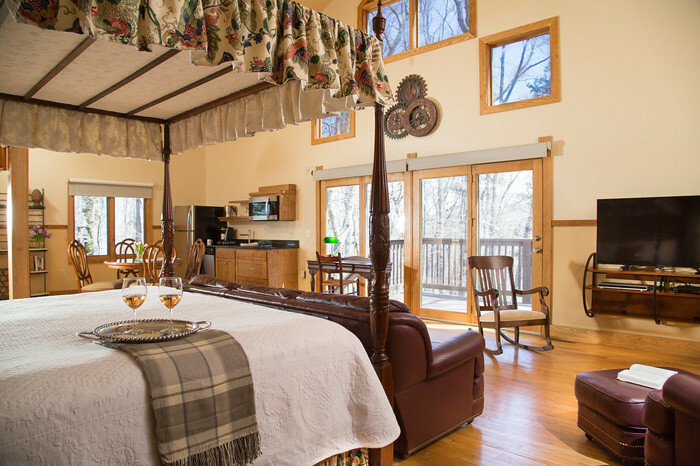 Arguably the “crown jewels” from a revenue perspective at this Blue Ridge Virginia boutique inn for sale are the six cabins, though “cabin” is almost a misnomer. 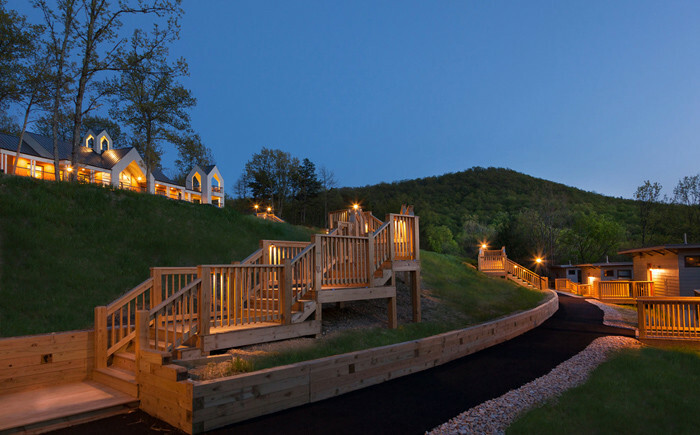 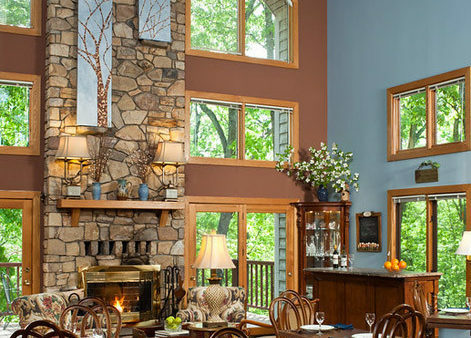 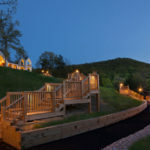 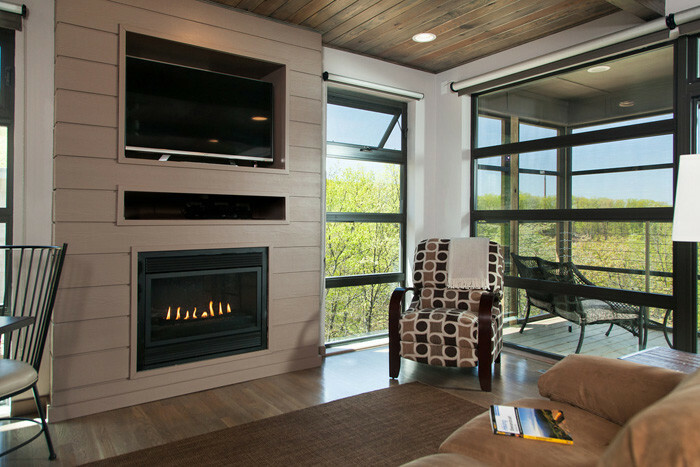 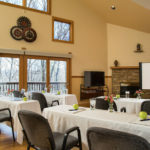 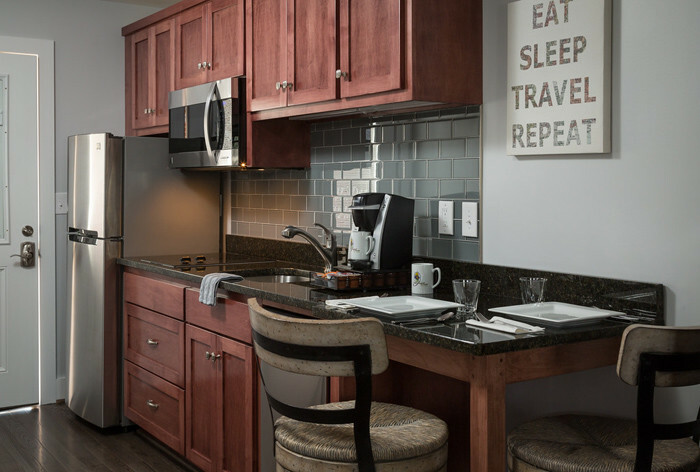 These units are on the hill below the main inn and wrap the curve of the slope, affording each a view of its own, from dramatic views across the Shenandoah to a more intimate view of the woods. 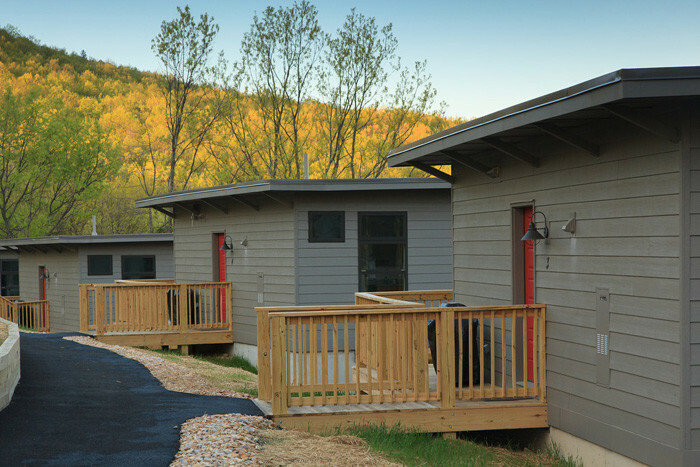 Each of these cabins has a spacious sleeping/living area with fireplace, flat screen TV, kitchen, and washer/dryer. 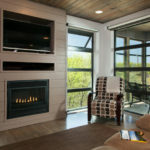 A wall of glass opens to the rear screened porch with seating and large hot tub. 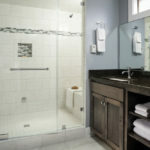 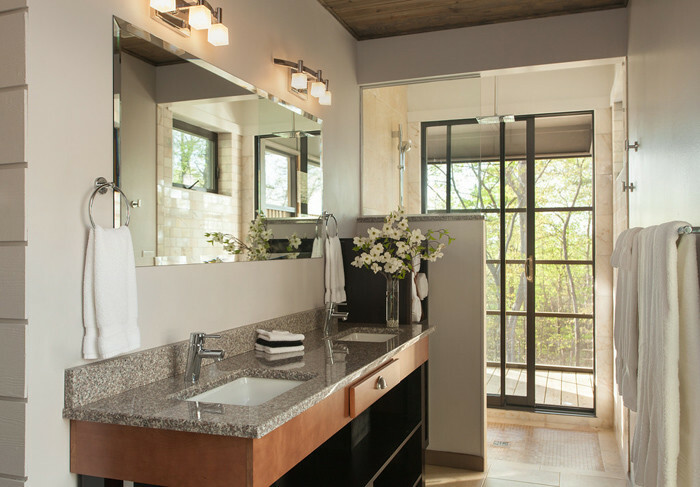 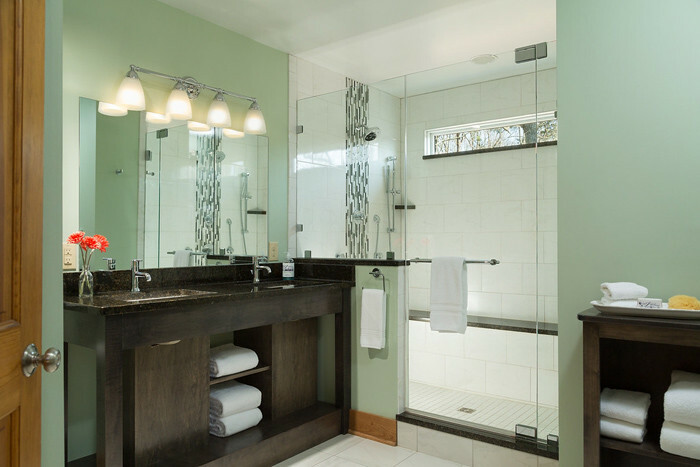 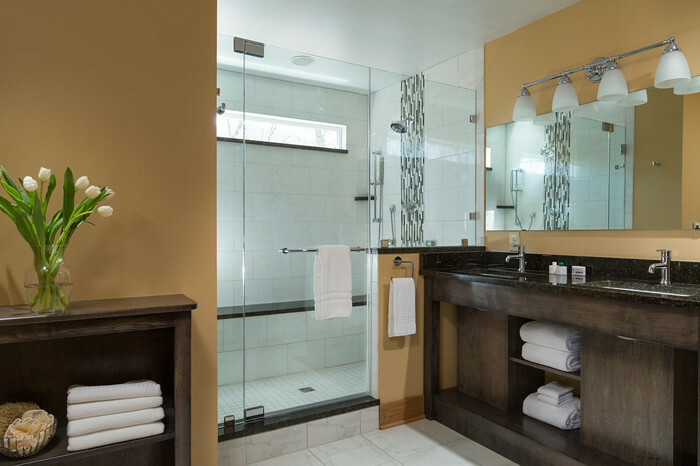 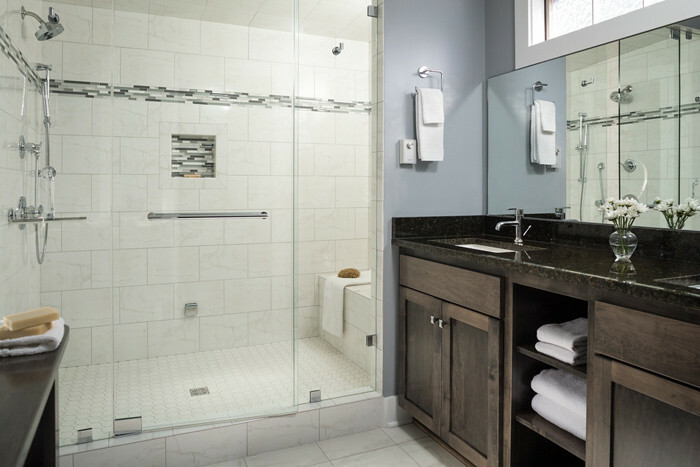 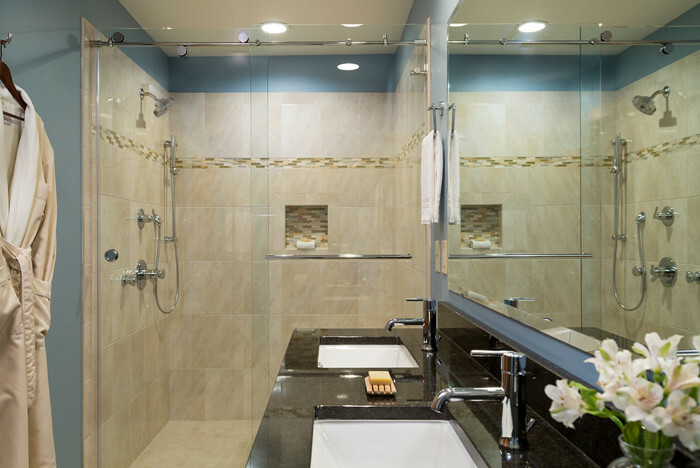 The bathrooms have an enclosed WC, large double vanity, and walk-in shower with a sliding glass door also leading out to the hot tub. 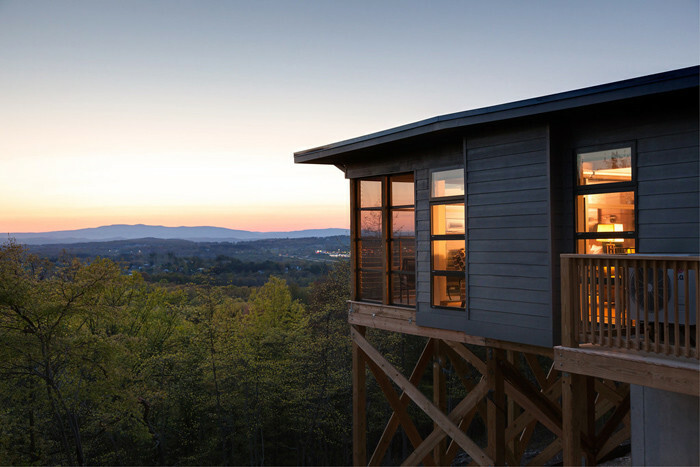 And while these cabins are close to each other, they all provide complete privacy. 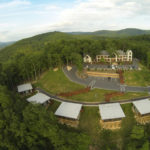 The property of almost 12 acres is zoned commercial. 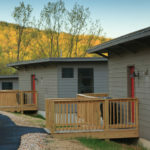 Additional guest units (yurts?) 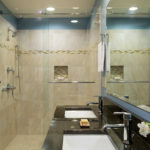 could be added, as could a separate owner’s residence if desired. 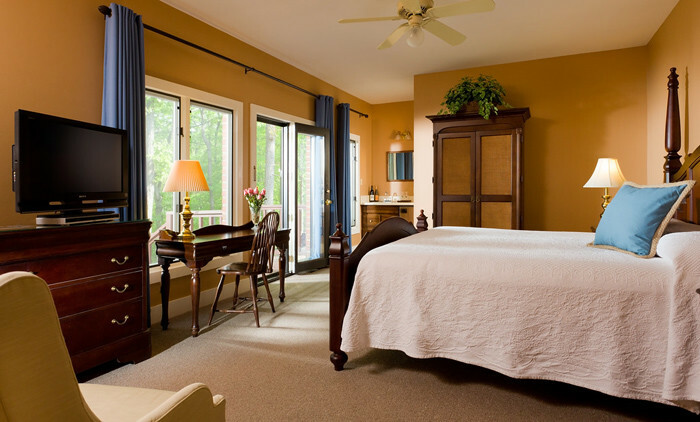 There are woods to enjoy, and a very convenient and easily accessed location. 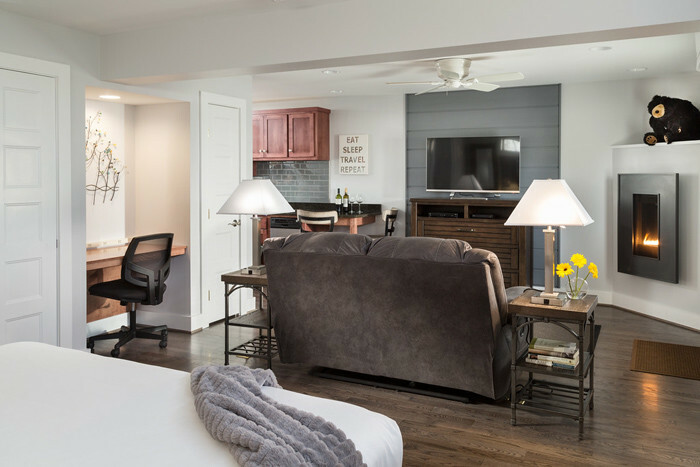 The business here has grown steadily over the years and today enjoys an enviable occupancy and cash flow, representing extraordinary value. 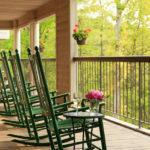 For complete details, please contact Peter Scherman, 434-286-4600, of The B&B Team, Inc.